All fraternity presidents and their national headquarters received a letter on September 1 from top administrators asking that they do not host O-Week parties for first-years. The letter, which represents an unusual attempt by UChicago to place restrictions on fraternities that are independent and unrecognized, cites "several highly concerning incidents last year that resulted from underage first-year students attending your open events, consuming excessive amounts of alcohol and requiring medical attention." When asked about the letter, which The Maroon obtained via its tips page from a fraternity member, spokesperson Marielle Sainvilus said the University has no comment. 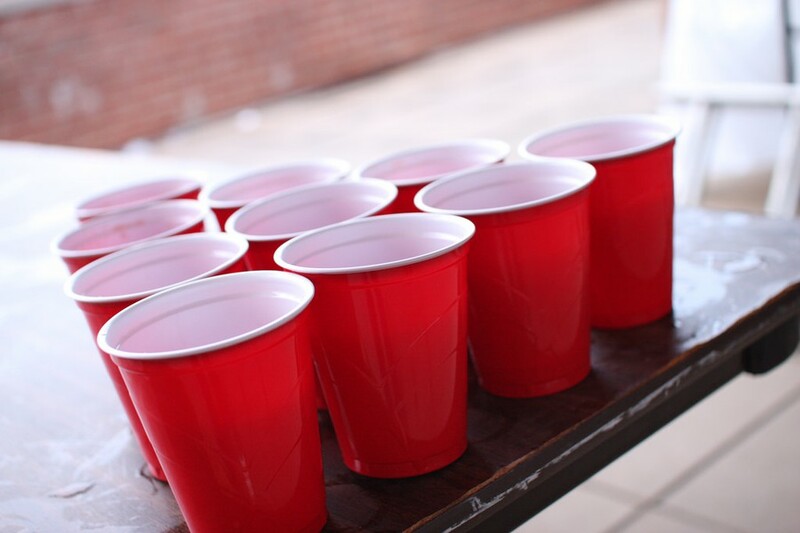 Last O-Week eight underage students were brought to the emergency room needing medical attention for excessive drinking, The Maroon reported. The letter also mentions time conflicts between parties and University sponsored O-Week programming. 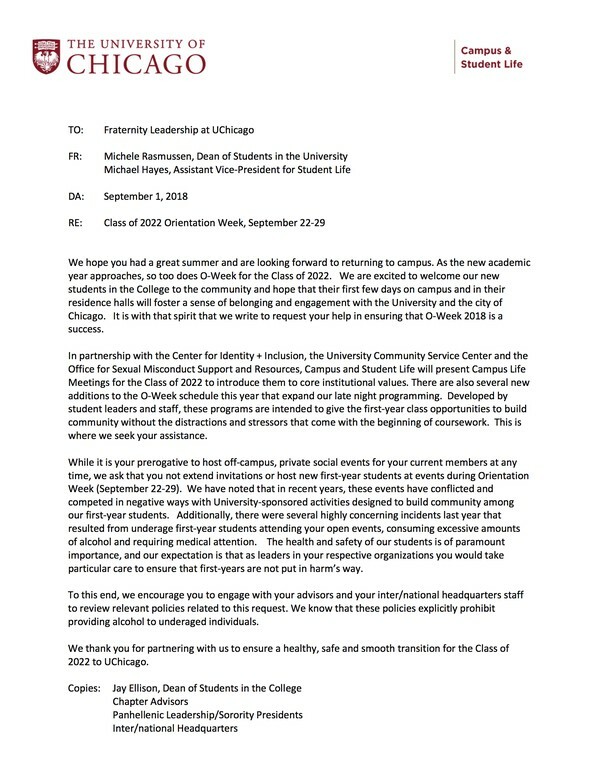 "While it is your prerogative to host off-campus, private social events for your current members at any time, we ask that you not extend invitations or host new first-year students at events during Orientation Week," reads the letter from Dean of Students in the University Michele Rasmussen and Assistant Vice-President for Student Life Michael Hayes. "We encourage you to engage with your advisors and your inter/national headquarters staff to review relevant policies related to this request. We know that these policies explicitly prohibit providing alcohol to underaged individuals." The fraternities' international or national headquarters received the letter, as did Panhellenic leadership and sorority presidents.